After having introduced, the different B2C business model approaches of the 4C-Net Business Model in Chaps. 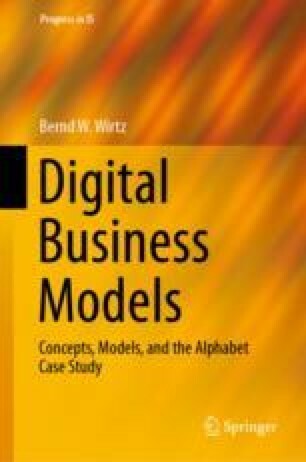 4– 7, this chapter presents the strategic approach of expanding these unifunctional business model approaches to an approach that uses aspects of these different models of. Section 8.1 deals with the development of hybrid digital business models and Sect. 8.2 describes the hybridization of the Google business model.